We have a variety of play areas in the pre-school which aim to stimulate and develop your children. A role-play corner which includes a kitchen, a shop and dressing up clothes is provided for the children to let their imaginations run free. We have a comfortable book corner with bean bags and cushions stocked with a wide range of pre-school favourites which the staff enjoy reading with the children. Aprons are provided for the children who wish to express their artistic side and make use of our range of arts and crafts materials. Paints and chalks are always available and each session we provide opportunities to experiment with shapes, colours and textures via collage or junk modelling activities. Experimenting with a wide range of materials, cutting, gluing and sticking develops a range of skills and is great fun too. Less messy drawing and colouring activities are also always made available. 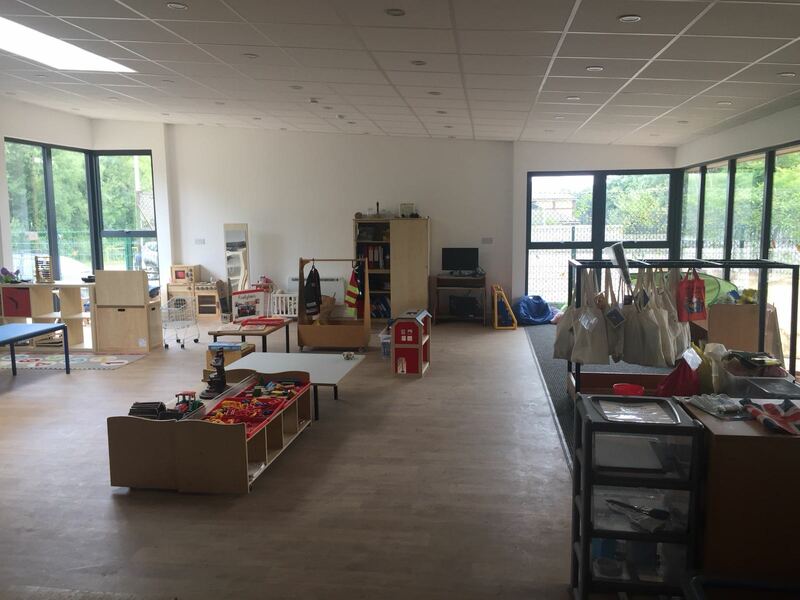 We have a variety of floor based toys including dolls houses, garages and cars, train sets etc which are always popular and allow the children to develop their social skills as they explore and learn to play together. We are very lucky to have a large outdoor play area. Young children love physical play and being outdoors therefore we spend time outside during each session when they can play with balls, hoops, tricycles etc.